The training course will cover the topics given below. 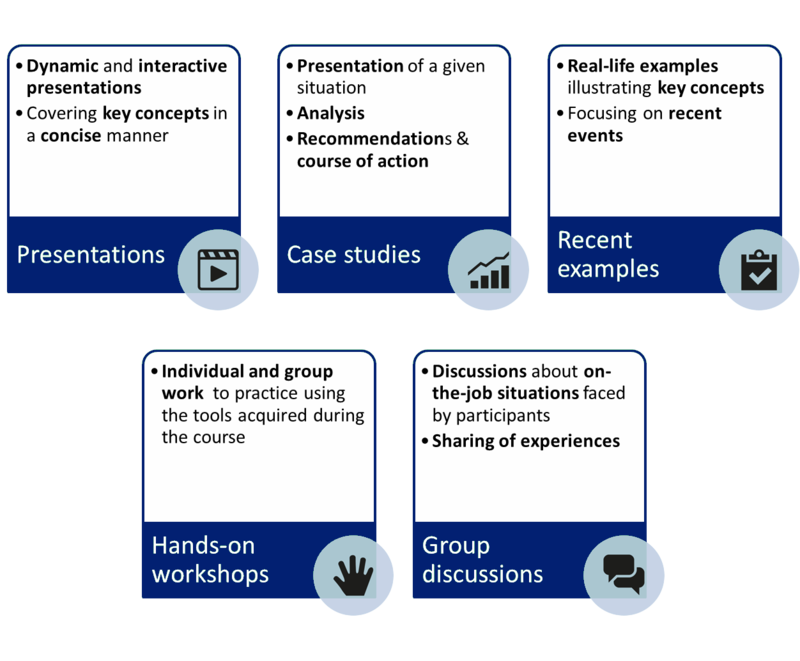 The course integrates exercises and case studies, as well as a series of 7 workshops where the participants actively work on real-life problems using the analytical approach. A kit of analytical thinking tools is provided in electronic form as a take-away. Telecommunications personnel who wish to improve their ability to use analytical thinking methods and data analysis tools.